Cuba has finally begun making mobile internet available to its citizens today, reports Reuters. That’s huge for the Communist Caribbean island nation, which is home to some 11.5 million people. The plan is for the national telecom firm, ETECSA, to roll out access to its service nationwide by the end of 2018. That’ll see 5 million people – close to half the country’s population – gain access to mobile data before the year is out. Vox’ Johnny Harris wrote last November that only 5 percent of people in Cuba could access the uncensored World Wide Web, and that many folks relied on a local service called “El Paquete Semanal” (the Weekly Package) to receive world news, YouTube videos, pirated movies, and smartphone apps through data traffickers for a couple of dollars a week. 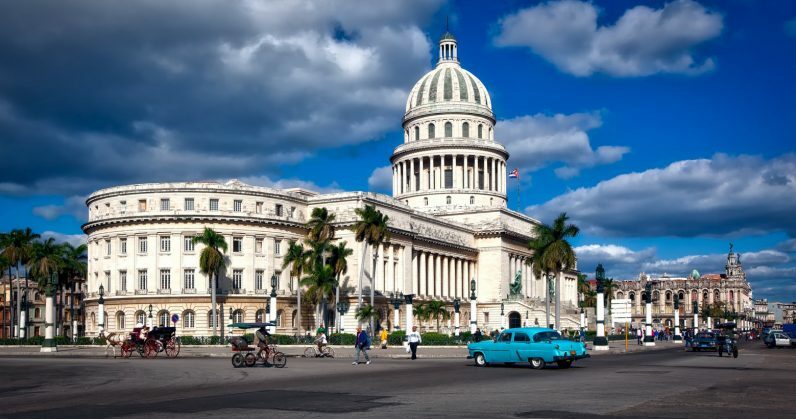 Cuba has historically restricted access to internet services across the country. As Reuters notes, until 2013, you could only get online by visiting certain hotels that had connectivity for its international guests. The US Federal Communications Commission notes that access is most always slow, and costs about US$2 an hour. More recently, nearly 400 government-run Wi-Fi hotspots, as well as cybercafes, have sprung up. Some people have managed to get internet connections for their homes, but even now, many customers who are willing to pay for the privilege are being asked to wait. As things stand, Cuba is still on 3G mobile internet, which means subscribers won’t get the fast speeds you might be used on 4G/LTE networks. It also remains to be seen what they’ll be charged for data packages. Companies and embassies reportedly pay $45 a month for just 4GB of data – while average state monthly wages are about $30. In contrast, India offers some of the lowest prices for mobile data in the world, with carrier Jio prepaid customers charging as little as $0.44 per GB on its 4G network. Hopefully, people in Cuba will see prices drop and speeds increase soon enough.